The Shower Tub Chair Bundle from Drive Medical is the perfect all-in-one solution for your bathroom safety needs. 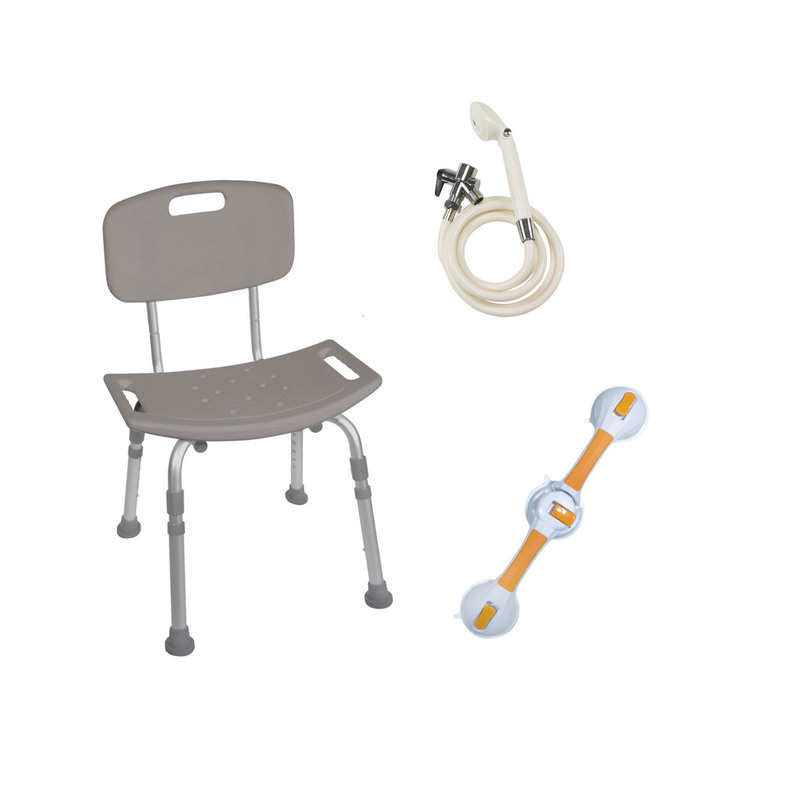 Providing support for bathing, this bundle includes a bath bench with back, carry bag for bath bench, a shower spray with hose and diverter valve, and a rotating suction cup grab bar. The shower tub bench with back is height adjustable and has angled legs with suction-style tips for added support and safety. The shower spray with diverter valve adds convenience and should be used with a bath bench to change the angle of water flow. The rotating suction cup grab bar will help you getting onto or off of your bath bench, or wherever you need it. The suction cup is 4″ in diameter and must make full contact with a smooth surface without breaking grout. This solution for bathroom safety with an emphasis on shower / tub safety is ideal for anyone who is looking for a shower chair. Be the first to review “Shower Tub Chair Grab Bar Safety Bundle” Click here to cancel reply.